My final Marvel project for 2015, 5-Minute Avengers Stories is out today! I contributed three short stories to this collection: “Daybreak” (Captain America), “No I in Team” (Black Widow and Hawkeye), “Freaky Thor Day” (Thor, duh). 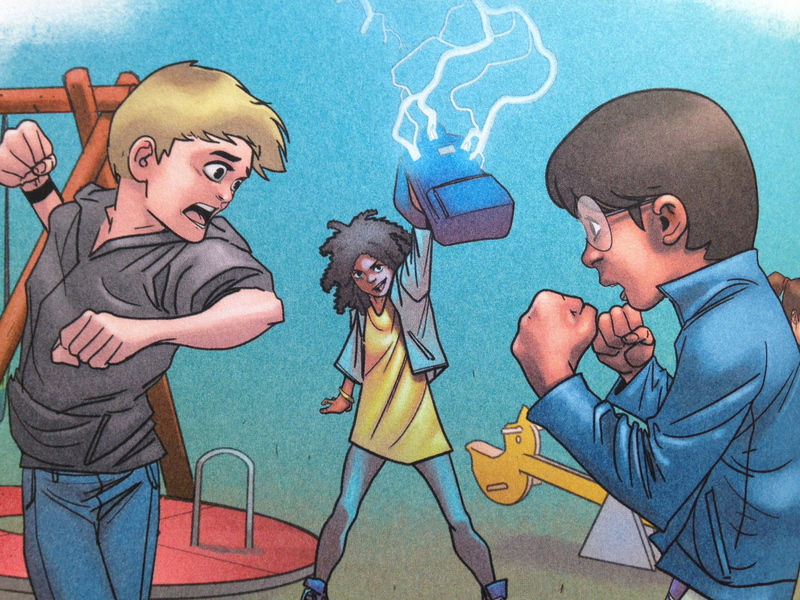 While they were all fun to write, my favorite is probably “Freaky Thor Day.” I don’t want to include any spoilers here, but will give you this tiny teaser from the excellent illustrations within. As always, I’m super grateful to the Marvel Press team for letting me (legally) write about some of my favorite super heroes. Out Today, Ant-Man: Game Over! Guess what? Ant-Man: Game Over is out in bookstores today! As a kid, I loved stories about little creatures making it in the big, bad human world. * Some of my favorites were The Mouse and the Motorcycle, Mrs. Frisby and the Rats of NIMH, Stuart Little, and The Cricket in Times Square—just to name a few. I guess I was really into stories about tiny worlds and…anthropomorphized vermin? Moving on. Obviously, with that (tiny) background, I was especially excited to work on an Ant-Man book. Having recently visited Asbury Park‘s extraordinary Silver Ball Museum, I knew exactly where I wanted to send Scott Lang and his daughter Cassie in this story. Luckily, my editor (hi, Clarissa Wong!) and everyone at Marvel (hi, everyone at Marvel!) was on board. It was so much fun to imagine the many wonders (and dangers) Scott and Cassie would encounter while navigating the frenetic, vivid world of a pinball playfield at roughly ¾ of an inch, and the fantastic illustrations by Rachelle Rosenberg and Ron Lim really bring that all to life. 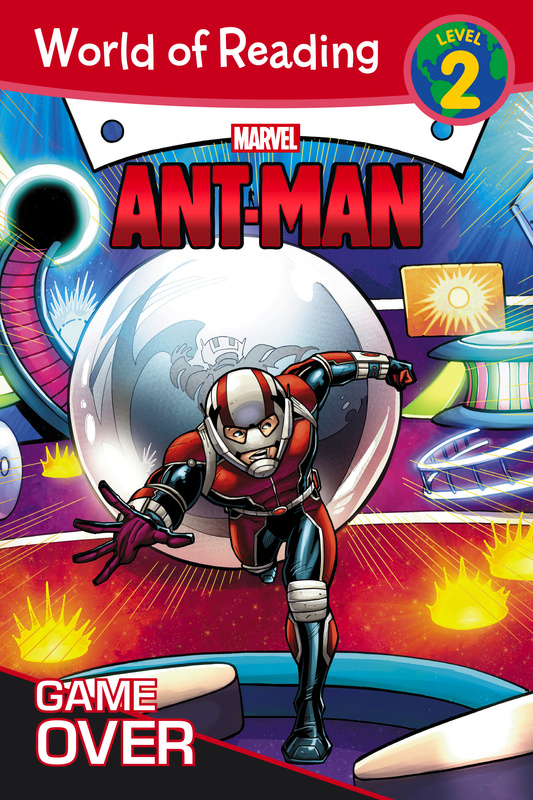 Ant-Man: Game Over is a Level 2 reader and is suggested for grades 1 – 3, ages 6 – 8. *Who am I kidding? I still love those kinds of stories! Seriously, how awesome is this cover art? So as not to spoil anything, I will only confirm that, as the cover indicates, Ant-Man: Game Over is set in a pinball arcade and that when I was working on the book, THIS IS EXACTLY WHAT I HAD IN MIND. Illustrators/artists are fantastical wizards who never cease to amaze me. Generally speaking, with work-for-hire, you’re not supposed to get too attached to your projects, especially when it comes to working with big licensors–too much can change and none of it is in your control. I’m pretty good at maintaining that distance most of the time. BUT, in this case, [redacted] all that noise. I love this cover art and I really can’t wait to see the interior illustrations. Ant-Man: Game Over is coming to a bookstore near you (or your browser) on October 20, 2015. Around that time I’ll post to tell you all about the awesome Silver Ball Museum, which I visited for “inspiration” last summer. PSA: Ant-Man, starring probable vampire* Paul Rudd, opens Friday, July 17th. * but of the kindly, non-threatening variety. **will add indie links as they become available. Earth’s Mightiest Heroes are quite busy saving the day from battling crooks and robbers to evil alien invaders and super villains! Each of these twelve stories is the perfect length for reading aloud in about five minutes, making great quick reads. This treasury stars old favorites (such as Captain America and Iron Man) as well as new Avengers (Falcon and Vision). With a padded cover, and action-packed full-page and spot illustrations, Super Heroes’ adventures are the way to go before bedtime, on the go, or any time of day! I have a bunch of stories in this one and I’m dying to see the artists’ illustrations…but I will have to wait (and so will you) because 5-Minute Avengers Stories isn’t out till November.